One of the great challenges of gemology is the development of an accurate, simple, consistent, and reproducible technique for gemstone color measurements and specifications. Until the mid-80s little progress was made, despite the appearance and widespread promotion of various color-chart systems. None of these systems are satisfactory for gemology, chiefly because: 1. They don’t adequately cover the total range of gem colors, 2. They don’t offer enough detail in the ranges they do cover, and 3. The color-chart materials (printed colors and transparencies) are of insufficient quality to prevent variations in production runs. The ideal solution is a gemstone colorimeter. 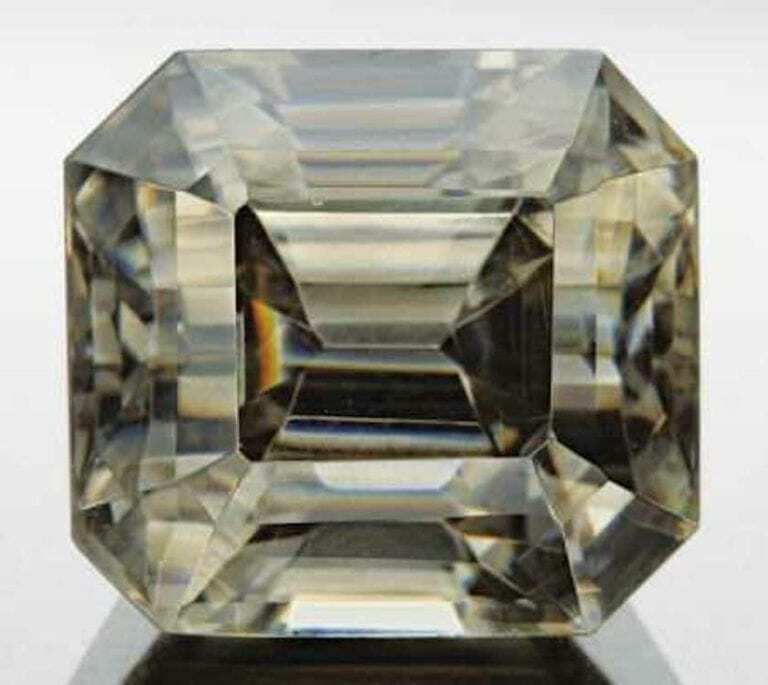 However, such an instrument must deal with the unique optical properties of gems, such as brilliancy and pleochroism, which make gemstones extremely difficult specimens for instrumental measurement. The science of colorimetry is well established in almost all areas of endeavor where color is important, such as paint, plastics, textiles, and other industrial and consumer materials. Objective instrumentation is now routinely used in these fields. However, before such instruments were available people had to rely on visual systems such as color charts for specifying color. These charts are sections of what we may refer to as three-dimensional color space. These dimensions are termed hue, lightness, and saturation. Hue is the attribute we are describing when we speak of red, yellow, green, blue, purple, and other hues intermediate to adjacent pairs in this series. These hues can be readily visualized in terms of a color wheel. Also called value, lightness is a scale with white and black as endpoints and shades of gray in between. Note, however, that all chromatic colors can also be scaled to lightness as a function of their total reflectance. Lightness can be visualized in terms of a vertical axis with white at the top and black at the bottom. Also called chroma, saturation is a measure of the amount of hue in a color, its vividness, or how much it differs from a gray of the same lightness. Chroma can be seen in vertical sections of three-dimensional color space. A section along a specific radial direction of the color circle is designated as a specific hue. Lighter shades of this hue are near the top of the section, darker shades at the bottom. 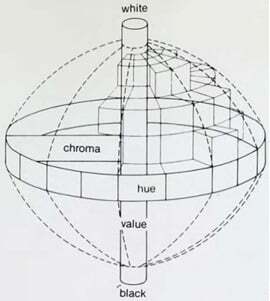 The chroma (vividness) of the hue increases moving outward from the central axis. The range of chroma varies with both hue and lightness, making the color solid an irregular shape, rather than a simple ovoid or sphere. Subdividing the color solid into smaller units and giving each a name or set of numerical coordinates can achieve color specification. This results in a classification known as a color-order system. The color solid can be subdivided in many ways. Not surprisingly, there are also many color-order systems. Some of the color-order systems created during the early decades of the 20th century were represented by charts made of paint colors coated on paper. 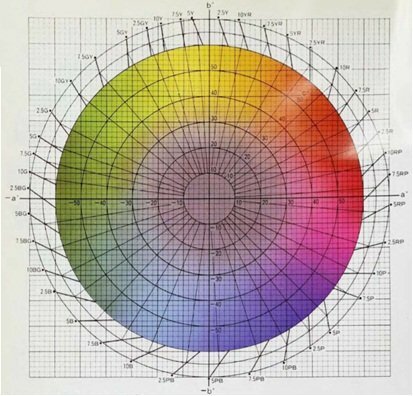 Architects and designers used Wilhelm Ostwald’s system for color selection and specification. Biologists used Robert Ridgway’s system for classifying thousands of flora and fauna specimens. (Some of these older systems, like Ostwald’s and Ridgway’s, are still used today). Thus the need for accurate color measurements and specifications was firmly established before instruments and related color-order systems were available. Perhaps the most popular and widespread of the chart-type color-order systems is the one devised by A.H. Munsell and extensively revised by the Optical Society of America (OSA) in 1943. The Munsell hue scale is based on five hues equally spaced around the hue circle (red, yellow, green, blue, purple) and intermediate hues (yellow-red, green-yellow, blue-green, purple-blue, red-purple). The major hues are abbreviated R,Y,G, B, and P, and the intermediate hues YR, GY, BG, PB, and RP. 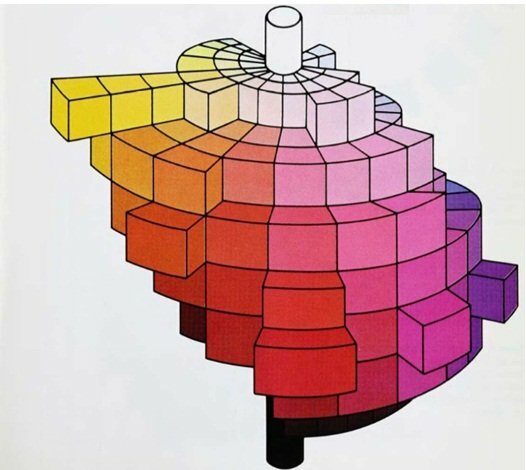 Further subdivision results in forty hue charts in the Munsell Book of Color. Colors appear on these charts at value (lightness) intervals of one unit from 2 to 9. Chroma (saturation) is represented in whole units ranging from 2 (near-gray) in two-step intervals up to as high as 14 and 16 for the most vivid colors. The notation system is decimal, allowing colors to be specified accurately. Munsell color books are available in both matte and high gloss finish, with the latter having about fifteen hundred colors. All these color-order systems (including the more recent German standard DIN 6164 and the Swedish Standard Natural Colour System) have certain similarities. Color sampling is along lines of constant hue (or a similar metric). Thus, corresponding colors on adjacent hue charts become visually farther apart as they become progressively more saturated (that is, move further away, radially, from the center of the color circle). Thus, the most vivid colors are more distant from each other than less vivid ones, often by a factor of five or more. These color charts are inadequate for gemstone color measurements because they don’t have sufficient colors in the vivid color regions and they don’t extend far enough for gem analysis. The color ranges of vivid, transparent gemstones simply can’t be captured with opaque colors on paper. In addition, opaque paint colors don’t look like transparent gemstones, even when the colors are, in fact, the same. A major step forward came in 1931 when the international adoption of the Commission Internationale de l’Eclairage (CIE) system resulted in greater interest in color measurements and specifications, especially by colorimetry. The CIE system included standard illuminants (incandescent, sunlight, north daylight), a standard observer, and standard response functions of the human visual system. The CIE continues as the principal international organization in the field of color research and standardization. Since 1931, it has made important improvements and additions to the original concept. The color industry was built around research and development of spectrophotometers and colorimeters capable of making measurements and reporting data in CIE terms. However, this created a problem with existing color-order systems. Such systems are necessarily spaced visually for their appearance under a specific light source. Visual spacings and overall appearance will be altered accordingly if other sources are used. If CIE data are published for such colors, the numbers are valid only for the light source for which the measurement data were computed. CIE color space is visually non-uniform. A more uniform color space makes specification of tolerances and small color differences more meaningful and is therefore more useful to science and industry. Extensive research has been done to produce mathematical transformations of CIE data into a more visually uniform color space. 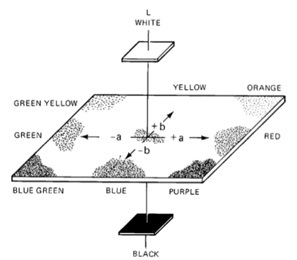 In 1942 Richard S. Hunter designed a filter colorimeter for the measurement of opaque surface colors and, to accompany it, the Hunter color-order system. This is a transformation of CIE data using simple equations that were incorporated into the computational elements of the instrument. Hunter space was of the “opposite-hue” or “opponent-hue” type as shown below. Where delta (Δ)Ε denotes color difference. It’s common practice today for color-measuring instruments to include Hunter color notations as a readout option for measurement results. 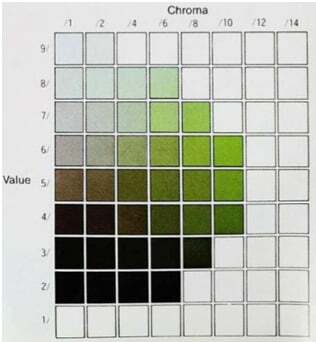 Although material color samples were never produced to illustrate Hunter color space, the nearly uniform visual spacing became very useful for describing color specifications and tolerances in industry and contributed importantly to the sale and use of these instruments. The Optical Society of America-Uniform Color Spacing system (OSA-UCS), an opponent-hue system developed by the Optical Society of America, is not only an improvement over Munsell spacing but is also a direct CIE transformation. The OSA-UCS colors (at this writing 558 colors, available as 2 x 2 inch samples) are in scales with intervals of two units in chromaticity and one in lightness. A prototype OSA color collection produced in Denmark shows chromaticity scale intervals of only one unit, with lightness increments of 0.5 and over two thousand colors. The OSA-UCS colors are the best example of uniform color spacing produced to date and will probably appear soon as a readout option on instruments. 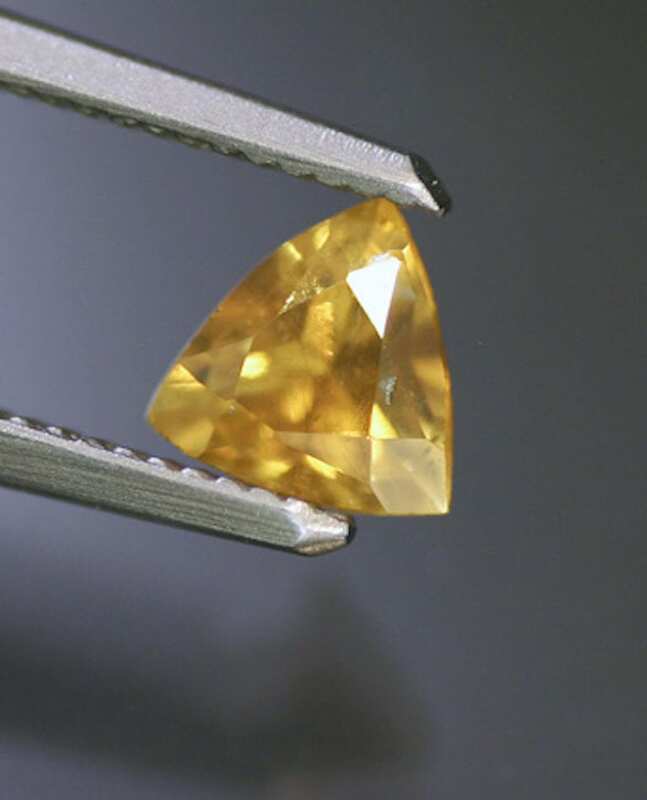 Some gemologists have tried unsuccessfully to use existing color instrumentation to characterize gemstones. 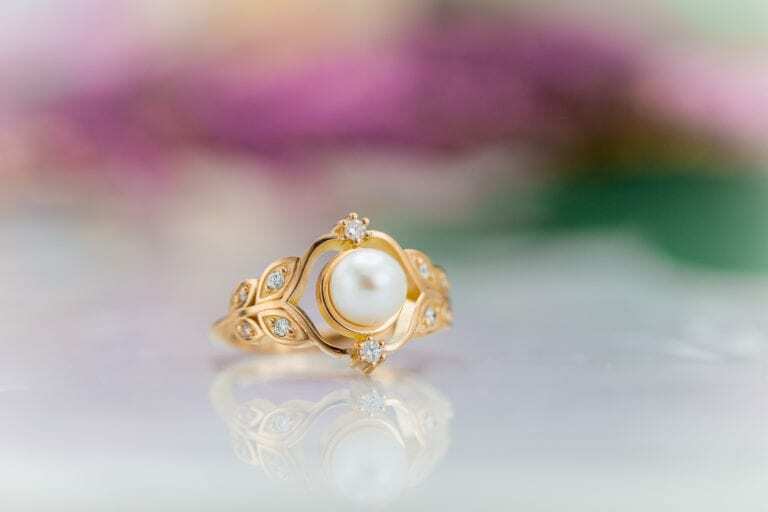 Instrument makers haven’t perceived gemology to warrant the costly research and development necessary to devise instruments specifically applicable to gemstones. The existing color charts and simplistic optical devices currently in use by gemologists are severely limited in accuracy and usefulness. The recent marketing by Minolta Camera Co. of a lower cost portable colorimeter motivated several researchers to modify this instrument for gemstone colorimetry. One of the first was Dr. Richard Pettijohn. He attempted to adapt the Minolta sensor unit for specific use with gemstones by reducing the beam size and adding a glass plate to hold the sensor and a small mirror to reflect light passing through the stone to the sensor. However, this arrangement was too inaccurate and non-repeatable to be a viable solution. Moreover, the mirror arrangement dictates the “standard” illuminant for measurement to be the xenon flashlamp built into the unit rather than an independently measured white standard. J. Rennilson and W.N. Hale devised an improved version of this instrument, also using the Minolta colorimeter. This replaces the glass and mirror with a small white-lined integrating sphere. 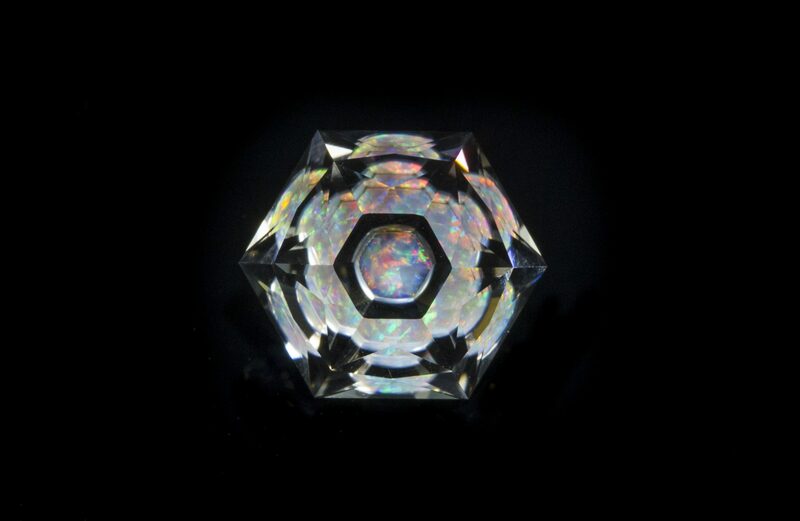 A 2-mm light beam from below illuminates a gemstone mounted on a clear plate centered within the sphere. Light reflected from the gem is mixed with that transmitted through it and picked up by a detector outlet in the sphere wall. This colorimeter, with patented illuminating and collection geometry, is sufficiently accurate and repeatable for gemstone work. The data readout is in CIE data (Y,x,y) and CIELAB (L*,a*,b*), for CIE standard illuminant D65 or C (both representative of standard daylight in slightly different form). This kind of instrumentation will likely totally revolutionize the gemstone field, bringing order and objective reality to a chaotic system of vague and often obsolete terminology for gemstone color measurements and specifications. Errors in conversion may arise due to the limited data storage capacity of this device.3 Further errors are inevitable when trying to illustrate gemstones by photography and printed reproduction on paper.4 Therefore, the tabulated numerical color data must not be considered accurate enough to establish benchmark points for specific gemstone species. However, this degree of error is small compared to the actual variation in color exhibited by most species. The real purpose of this article and these measurements is to establish, for the first time in the gemological literature, the nomenclature, direction, and methodology for scientific, accurate, reproducible, and objective gemstone color measurements and specifications. 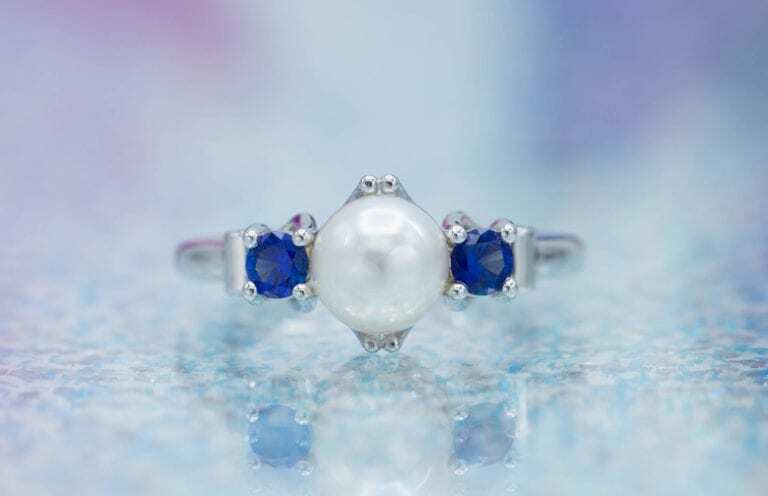 The numbers themselves are considered less important in this context than an understanding of how they were obtained and the implications of this new technology for gemology and the gemstone marketplace. Invaluable assistance in converting measured L*a*b* values to Munsell numbers, along with many valuable suggestions, was provided by Richard E. McCarty of Silver Spring, Maryland. 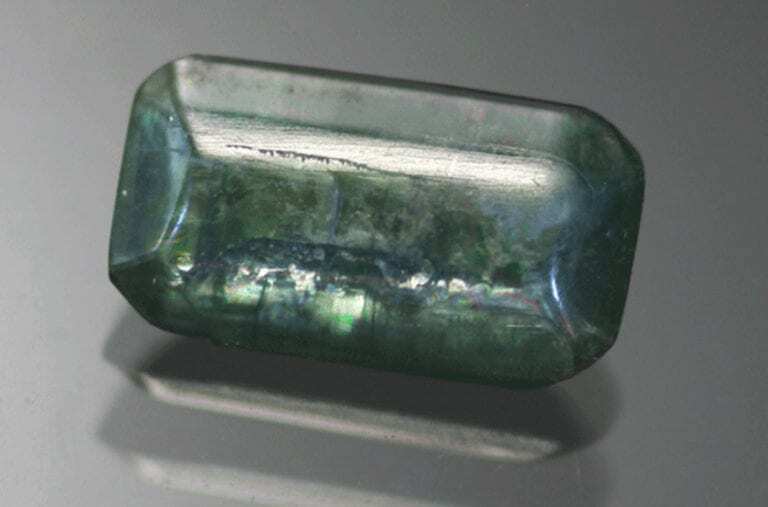 Color data on gemstones reported herein are in the form of CIELAB readout and corresponding Munsell notation. The conversion to Munsell numbers are direct CIELAB conversions. No attempt has been made to simplify the resulting Munsell values in accordance with the limited range of actual Munsell color samples. This approximation is left to the reader. Many of the gemstones photographed in Arem’s Color Encyclopedia of Gemstones were measured with the Pettijohn-Minolta colorimeter. These gems are cross-referenced by notation in the section of color plates at the back of Arem’s Color Encyclopedia, and the tabulated color information herein refers to specific gemstone colors, shapes, and weights, facilitating easy correlation with photographs. 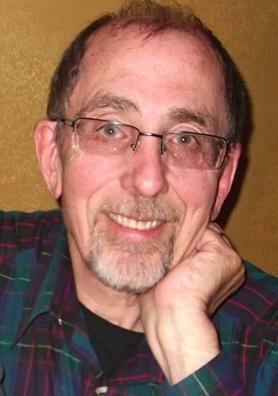 Editor’s Note: The IGS gratefully acknowledges the above as the work of Dr. Joel Arem. We are deeply grateful to him for allowing us to re-purpose this content with attribution. Dr. Joel E. Arem has more than 60 years of experience in the world of gems and minerals. After obtaining his Ph.D. in Mineralogy from Harvard University, he has published numerous books that are still among the most widely used references and guidebooks on crystals, gems and minerals in the world. Co-founder and President of numerous organizations, Dr. Arem has enjoyed a lifelong career in mineralogy and gemology. He has been a Smithsonian scientist and Curator, a consultant to many well-known companies and institutions, and a prolific author and speaker. Although his main activities have been as a gem cutter and dealer, his focus has always been education.